Possible line-ups: Lincoln (4-2-3-1): Smith; Eardley, Bostwick, Shackell, Toffolo; Frecklington, O’Connor; Anderson, Rowe, Andrade; Akinde. Northampton (3-5-2): Cornell; Goode, Taylor, Pierre, Facey, Buchanan, Turnbull, McWilliams, O’Toole; Hoskins, A Williams. Man in the middle: Michael Salisbury – controversially sent off Ash Taylor at Peterborough in Jimmy Floyd Hasselbaink’s final game in charge of the Cobblers last April. Handed out 82 yellows and three reds in 29 games this season. Opposition view: “Yes, it’s been a tough run for us having had seven games out of our last nine that have been away from home,” admitted Imps boss Danny Cowley. “But although it’s been difficult, we’re also in a good moment as we’ve only lost one of our last 14 league games. The Imps’ excellent season has been built on some extremely sharp shooting – only two sides in the division have taken fewer shots and yet only one has scored more than their 54 goals – and a robust defence, the third best in League Two. 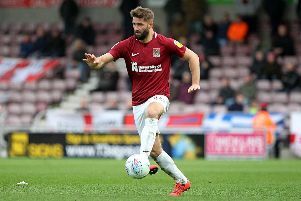 Cobblers connection: Given the seemingly countless number of players who have come and gone in a flash over the past few seasons, you could be forgiven for forgetting Neal Eardley’s brief 10-game spell at the Cobblers. The 29-year-old was signed on a free transfer in January 2017, the same day Rob Page was sacked, and proved himself to be an able deputy for the often-injured Brendan Moloney at right-back. But his release at the end of the season saw him snapped up by Lincoln City where he continues to make a name for himself. His 54 appearances and 10 assists – a mighty fine return for a right-back – earned him two Player of the Season accolades last year and he’s maintained that form into the current campaign, playing 31 times in City’s charge to the League Two summit. James Heneghan’s preview: Tuesday night’s crucial victory at Tranmere Rovers has lifted the pressure on Northampton ahead of this trip to league leaders Lincoln City, which can now be viewed as something of a free hit for Keith Curle’s men. But while returning from Sincil Bank with all three points looks a tall order and perhaps a bridge too far at this point, it nonetheless remains important for Cobblers to build on their wholehearted, full-blooded efforts at Prenton Park where clinical finishing was allied to committed, gutsy defending. That combination has rarely been showcased by Town this season but they will need those qualities and more at the home of the League Two pacesetters who boast a formidable record on their own patch, losing just one of 14 games at Sincil Bank. The recurring theme of Northampton’s campaign has been to provide moments of encouragement and create patches of momentum, such as Tuesday’s victory at Prenton Park, and then immediately undo it with a feeble performance and poor result in the following game, bar four-match winning run across October and November. Which is why they could do with replicating their efforts from Tuesday this weekend, even if it doesn’t translate into a victory and even if their season looks to be petering out. Despite Lincoln’s lofty league position, their form ahead of tomorrow’s game is patchy at best, winning two of their past eight in all competitions, although you could also read it as just one defeat in 14 league outings. 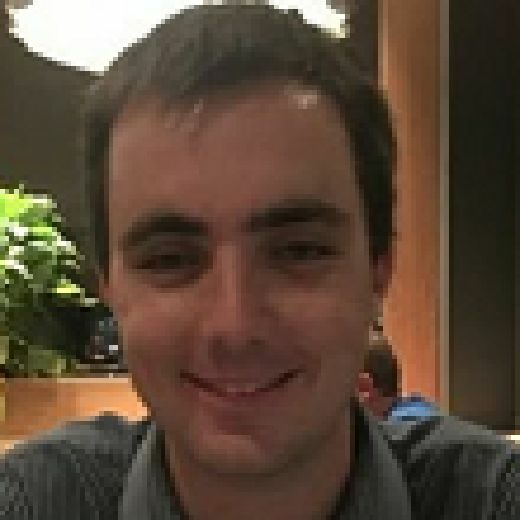 The Imps’ excellent season to this point has been built on some extremely sharp shooting – only two sides in the division have taken fewer than their 299 shots (Cobblers have had 388 by contrast) and yet only one team (Bury) have scored more than their 54 goals – and a robust defence, the third meanest in League Two. That makes them almost the polar opposite of their visitors this weekend. Creating chances has seldom been an issue for Town, but finishing them off is a different matter, and with defensive frailties a regular feature, those missed opportunities regularly come back to haunt them. You only need to look at the reverse fixture, played on the opening day of the season, for a prime example as Lincoln survived a deluge of Cobblers pressure in a smash-and-grab 1-0 victory, Matt Green scoring the only goal. Plagued by missed chances and one defensive lapse, the match was an accurate gauge for the how the season would unfold – for both teams. Sam Foley, Goerge Cox and Marvin Sordell are Curle’s chief injury worries for their trip north as we again wait and see what he has up his sleeve following his curious but successful team selection at Prenton Park. Given their physical exertions that night, and taking into account Curle’s now-famous rotation policy, changes are fully expected against Lincoln although two-goal hero Sam Hoskins is surely a nailed on starter. Cobblers have largely held their own against the best teams in League Two this season but with a sell-out, boisterous crowd expected at Sincil Bank and a home team gunning for promotion, Saturday promises be their sternest test to date.